We are pleased to offer the following menu suggestions to you for your stay at Rose Lindsay Cottage. All menus are subject to availability and need to be ordered at least 24 hours in advance. Please fill in the order form available via the link below or email, post or phone your order through to us. 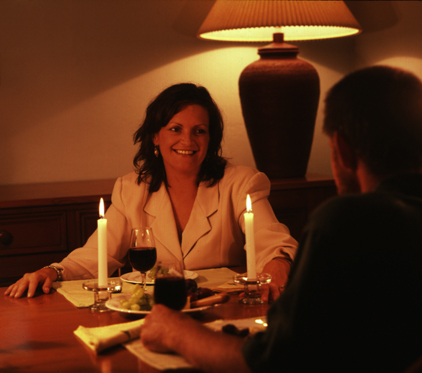 We offer completely private dining - there are no other guests. You don't have to drive out to a restaurant or drive to get back! So you can both enjoy the special celebratory bottle of wine you have chosen. 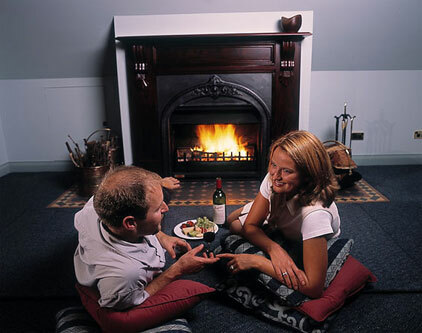 Options include: a private candlelight dinner in The Loft or the dining room of the historic sandstone house; a BBQ next to the Frog Pond here in the grounds; home made soup and cheese or an antipasto platter. We can also arrange a picnic hamper for you to enjoy at any of the beautiful spots in the Blue Mountains such as the Grose Wilderness cliff top - an easy cycle ride from here or perhaps Euroka Clearing in Blue Mountains National Park with the local kangaroos and cockatoos. One choice per course, please.